This is a paid post from an APW sponsor. I am convinced that bridal separates are the best thing since sliced bread. Why? Because you literally get two dresses for the price of one. Want to wear a long formal gown and a cute cocktail dress to your wedding, but don’t want to buy two dresses? Boom. Separates. Want a skirt and a top you might actually wear again? Separates! And if you don’t want to sacrifice a beautiful wedding dress for the convenience of separates? Then you want Lace & Liberty. Because their new collection is off the hook. Founders Danielle and Jacqui launched Lace & Liberty last year with one objective in mind: making it easy—and affordable—to create a wedding day outfit you’re actually excited about (while taking out the frustration of trying to find one dress to rule them all). So if, say, your top half and bottom half aren’t the exact same proportions, then you can easily pick and choose a top and bottom that flatter you most (bonus: there are even options for sleeves). Add that to the fact that Lace & Liberty make every piece to measure, and you get a wedding dress that fits right the first time, rather than needing dozens of expensive alterations. Lace & Liberty tops begin at $150, skirts at $350, and gowns at $425—which means you can create your entire bridal look for anywhere between $500 and $1500. The best part? Lace & Liberty is tripling the number of mix-and-match pieces they offer with a whole bunch of new necklines, skirt silhouettes, and color options. And because separates are all Lace & Liberty do, every item in their shop is specifically designed to work with other pieces, from tops and skirts to little white dresses you can throw a skirt over to make a formal wedding gown. They don’t even necessarily have to go with each other. You can just as easily pair a Lace & Liberty separate with something you already love (pants, crop top, sequins) for a look that’s bridal but, you know, not too bridal. Check out our favorites from their new collection. And that’s just the beginning of Lace & Liberty‘s top-notch customer service. 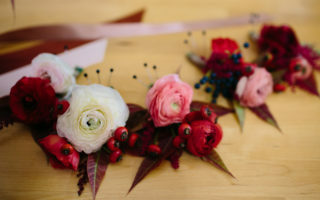 Their goal is to provide an interactive and trustworthy online shopping experience, and to that end, they’re now offering video chats for brides who aren’t local in addition to their already useful FAQs videos. 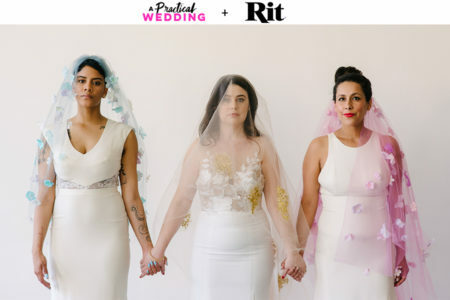 So if you like the idea of a wedding dress in theory but wish you could make it more… you, then Lace & Liberty might be just what you’re looking for. Click here to browse their gorgeous bridal tops, skirts, gowns, and accessories—and get in touch to mix and match your way to a killer wedding outfit. Visit Lace & Liberty TO “Design Your Own Dress” Today!